Did you know that Universal Studio’s CityWalk has a lot more to offer than just nightlife? And you can experience it all without theme park admission. 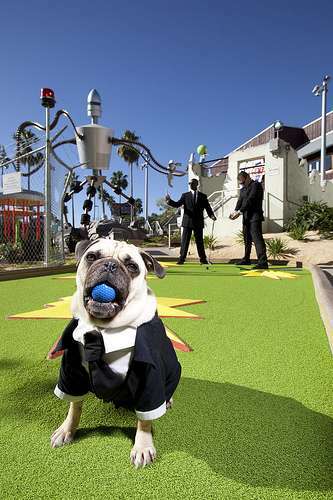 Boasting fabulous & unique dining, a huge movie theater, 2 mini-golf courses, &, yes, even Blue Man Group, City Walk has something for the entire family! Hollywood Drive-In Golf is a unique mini-golf experience themed to those campy horror movies of the ‘50’s. The two 18-hole courses are each uniquely themed. “The Haunting of Ghostly Greens” is based on all those silly ghost movies while “Invaders from Planet Putt” relives the alien fascination. There are many special effects & surprises waiting for you! Adult admission is $14.99 for 18-holes. Ugrading to the “double feature” adds an extra $11.99. Many discounts are available so be sure to ask! The AMC Universal Cineplex 20 with IMAX is a state-of-the-art facility. In addition to the normal theater concessions, you will also find a selection of hot food such as pizza & a full bar. Pricing varies by showtime & movie format. Many discounts are offered such as military & passholder. Blue Man Group is a fun, fascinating show! 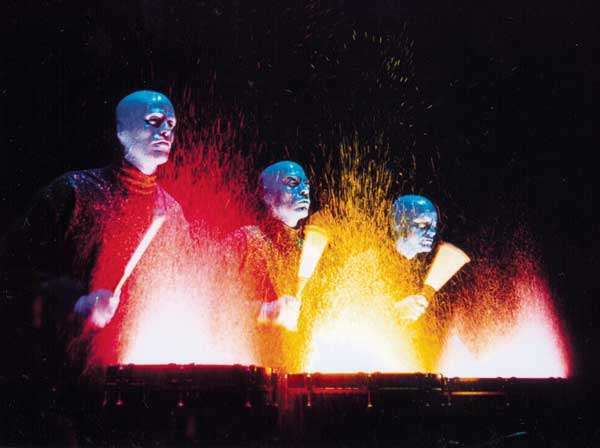 Creative musical instruments & lots of audience participation combine with those, well, blue men to produce an incredible show that you won’t soon forget. If you are looking for something unique while on vacation or an unforgettable date night, you should really consider this show! Pricing starts at $60/adult ($30/child) with many different discounts & packages available. You can also enjoy free admission to select CityWalk venues with your ticket stub. Of course, there’s always the wonderful dining options available at CityWalk. Jimmy Buffett’s Margaritaville, Emeril’s Restaurant Orlando, & the Hard Rock Café are the most memorable. If you are a lover of rock music memorabilia, take a stroll through the Hard Rock Café even if you don’t eat there. CityWalk also has Antonjitos Authentic Mexican Food, Red Over Pizza Bakery, The Bubba Gump Shrimp Co, & many more. No matter what your taste, you can find something you love here! Please note that you will have to pay for parking. The regular fee is $17 per vehicle, however, this fee is reduced in many circumstances. Parking is $5.00 between 6-10 pm & free after 10pm. Florida residents park free after 6:00 pm (with proof of residency). Passholders park free while premier passholders can valet park for free (excluding black out dates). For more information, visit Universal Orlando’s website here! What do you enjoy while not in the theme parks? Comment below!